Polycarboxylate Ether for Concrete | MUHU (China) Co., Ltd.
Polycarboxylate Ether (PC-G) is the ideal used for the ready-mix concrete industry which has the ability to work in low water/cement ratios. 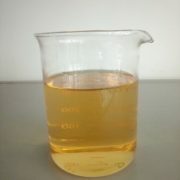 PC-G is a new generation superplasticizer for concrete. It contains polycarboxylate ether polymers and is specially formulated for ready-mix concrete where slump retention, high strength and durability are required in hot climates. 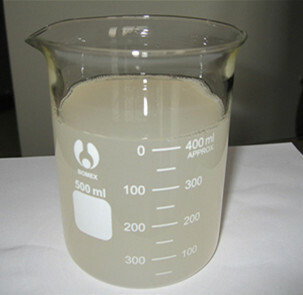 It is chloride-free, meets SS EN 934, Set retarding/high range water reducing/superplasticizing admixtures, and ASTM C 494 requirements for Type F & G. It is also compatible with all cements meeting the ASTM standards. PC-G is the ideal admixture for the ready-mix concrete industry. The ability to work with low water /cement ratios and still obtain extended slump retention allows for the manufacture of high quality concrete. (1) High water reducing rate: Water reducing rate can be above 30% under optimal dosage (confirmed by lab test). (2) High slump retention: concrete slump value can be increased to more than 220mm from 70-90mm under the same water cement ratio, and good workability will be kept. There is no obvious slump loss within 30min, or no obvious bleeding. Slump value keeps above 150-180mm within 1h. Pumping ability is excellent. (3) Long durability: low chloride and alkali content; can decrease concrete long-term shrinkage and shrinkage crack; Concrete shrinkage ratio will be less than 110%. Suitable air content and foaming structure will ensure concrete long durability if our product is used. ■The optimum dosage of PC-G to meet specific requirements should always be determined by trials using the materials and conditions that will be experienced in use. 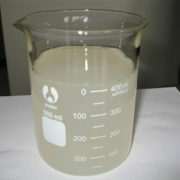 ■ Dosage range:0.3%–0.8% weight of cementitious material. ■ Recommended dosage: 0.5% weight of cementitious material. Concrete lab test for optimal dosage is required before usage or cement changing. 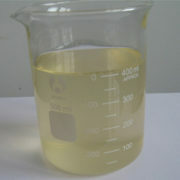 1) This product is a liquid packaged with plastic drum, 240 kg /drum, or 1100kg / IBC tank. Be in bulk according to customer’s requirements. 2) This product is non-toxic or non-flammable. Keep in dry place and be away from direct sunlight. 3) PC-G polycarboxylate superplasticizer has a minimum shelf life of 12 months provided it is stored under cover, out of direct sunlight. PC-G does not fall into the hazard classifications of current regulations.However, it should not be swallowed or allowed to come into contact with skinand eyes. Suitable protective gloves and goggles should be worn. Splashes on theskin should be removed with water. In case of contact with eyes rinseimmediately with plenty of water and seek medical advice. If swallowed seekmedical attention immediately do not induce vomiting. For further information refer theMaterial Safety Data Sheet available for this product. MUHU endeavours to ensure that thetechnical information contained herein is true, accurate and represents ourbest knowledge and experience. No warranty is given or implied with anyrecommendations made by us, our representatives or distributors, as MUHU has nocontrol over the conditions of use and the competence of any labour involved inthe application. As all MUHU technicaldata sheets are updated on a regular basis it is the customer’s responsibilityto check that the product is suitable for the intended application, and thatthe actual conditions of use are in accordance with those recommended.